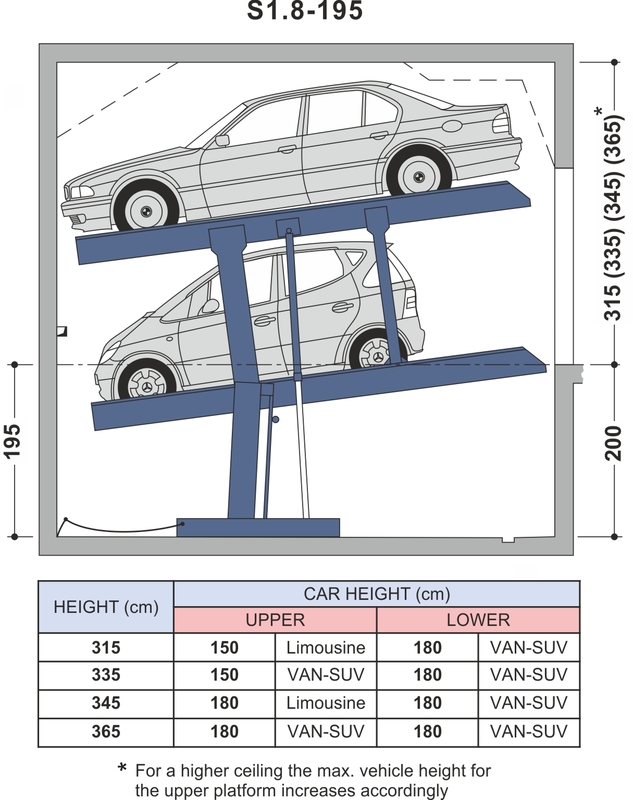 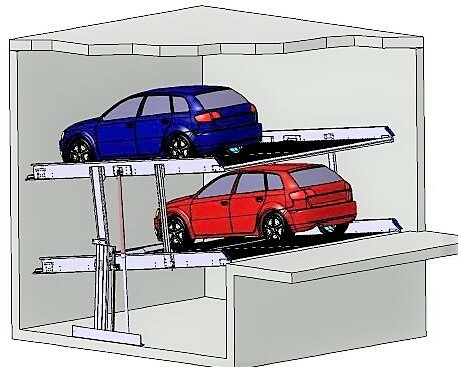 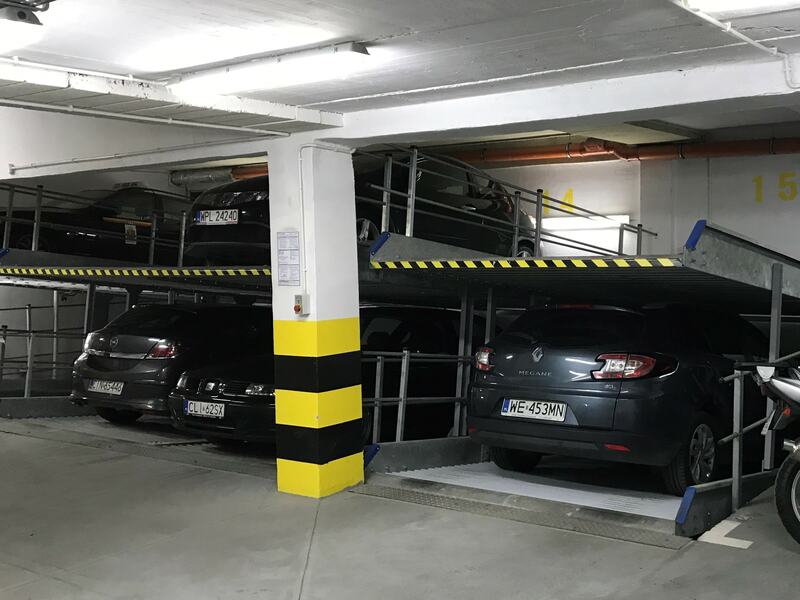 The S1.8 parking lift is the ideal solution for garages with low ceilings. 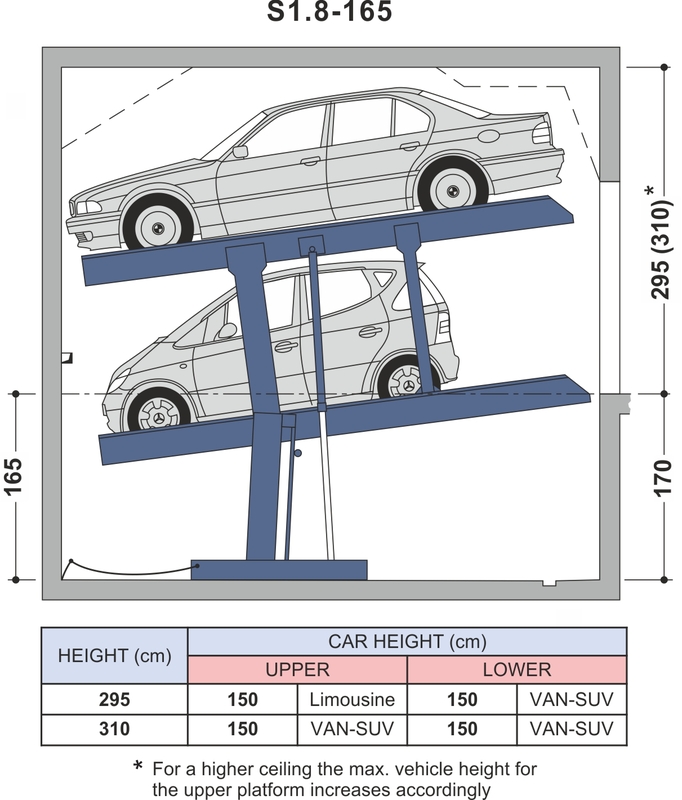 The upper platform can be accessed horizontally. 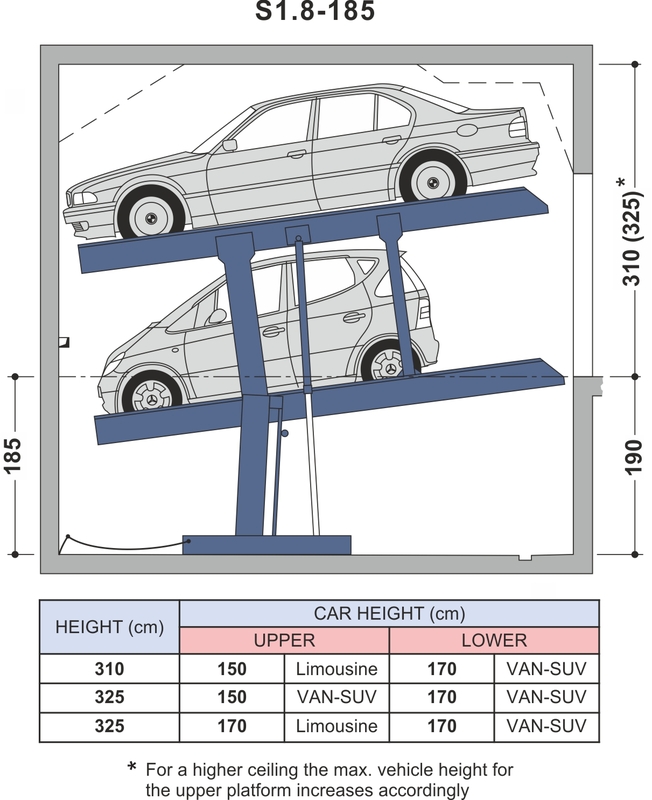 The lower platform is inclined and thus allows a greater gradient of the tramline to the parking system. 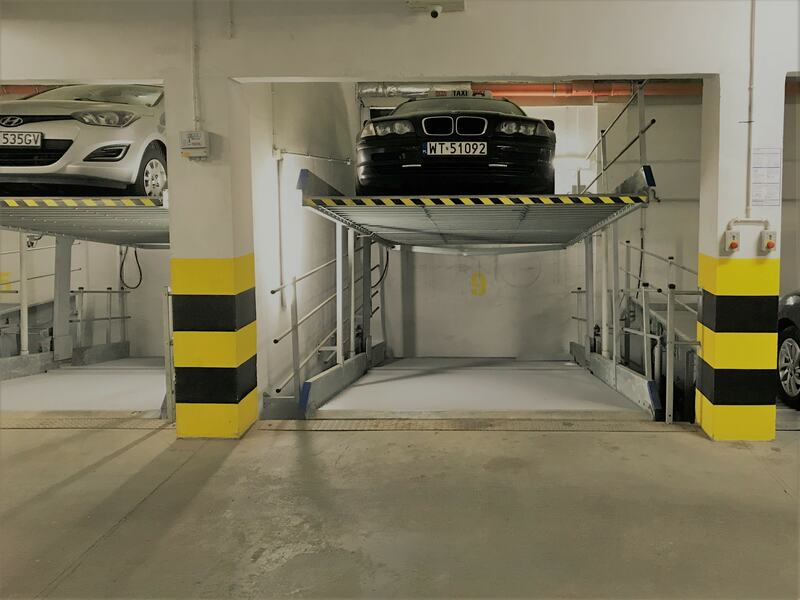 The double parker S1.8 is available with single platforms (EB) for 2 vehicles as well as with double platforms (DB) for 4 vehicles. 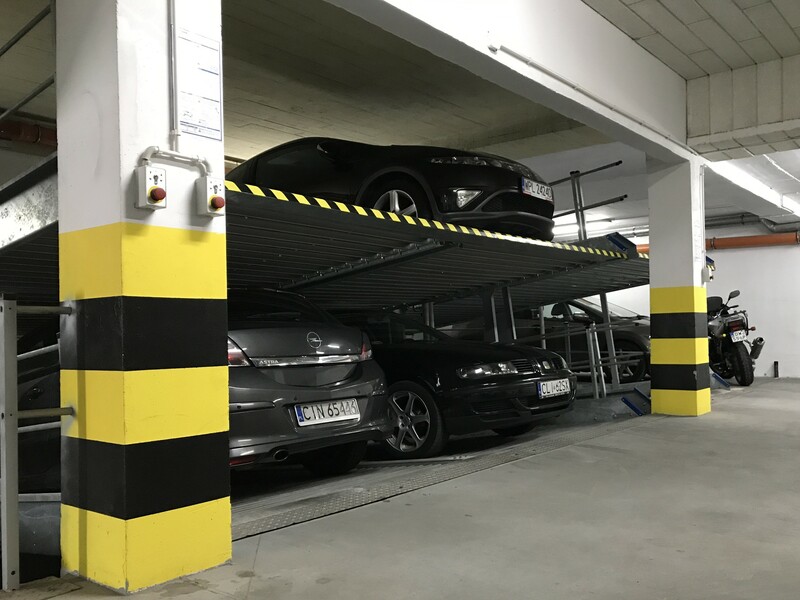 The S1.8 allows independent parking; in this case, independent means that the vehicle can also be accessed if another parking space is occupied!